Click on any of the black headings below for buying options. Scroll down further for advice. Many of our swimming pool heaters are stock items and sent using a next working day delivery service, even non stock items can be forwarded in most cases on a next day service. 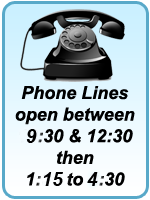 If you need further advice regarding swimming pool heaters just call us on 0151 334 0222. Which type of heater do I need? 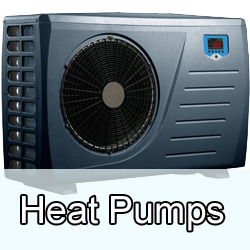 There are a number of options for swimming pool heaters, the best option can vary from swimming pool to swimming pool and there's no hard and fast rule that says you either need this pool heater or that heater, you may even be better off having a mix "n" match option were you have a combination of two types of heater on your pool. 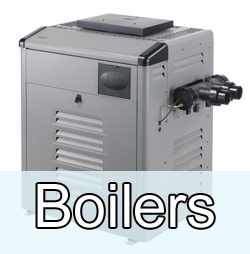 Most beginners often assume they will have a choice between electric heaters or gas "boiler" heaters. 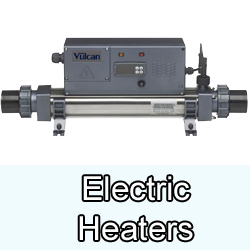 In reality there are various options even on these two types of heaters. So lets not complicate things, the main 2 options on electric swimming pool heaters are either straight forward electric heaters i.e. one that says for example it is 10 Kilowatt and uses 10 kilowatt to work or a "heat pump" which is 10 kilowatt and only uses 2 kilowatt to work, so what's the catch? A heat pump can cost anywhere between 4 times and 8 times that of a regular electric heater, however in time the savings you make should mean you'll eventually make the difference up. An increasingly popular option is solar matting or pods, these are simple add on's to your pool and the resulting heat once set up is free, of course the ideal scenario is the sun is shining all of the time. As we all know here in Britain this only happens when we're not in Britain, but even with our lack of reliable sunshine solar matting and pods definitely work on their own as swimming pool heaters. 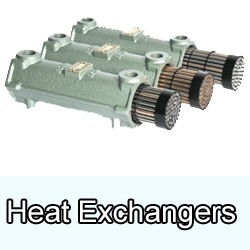 These also come into bracket as candidates for the mix "n" match option, being used to supplement other heaters like gas boilers or electric swimming pool heaters. All swimming pool heaters have one thing in common, and that is the pool water connection, which is, an inlet and an outlet, Its the same as your pump, water comes in one end and out the other and back to the pool, so when you add a heater to your system it connects in series with your pump/filtration system, the water comes into the pump/filter and out again but instead it comes next into the heater, back out again and then onto the swimming pool. A straight forward method to heat your pool, 10 kilowatt swimming pool heaters burn 10kw of power, nothing complicated there. Once you've decided on which size heater you need for your pool (a very rough guide would be 1.5 kw per thousand gallons minimum) then the following considerations have to be made, do I need an electrician to fit it? yes if its over 3kw, 3kw can be plugged straight into the wall socket using a 13 amp plug and the correct wire gauge/rating. Over 3kw definitely a qualified electrician is needed, larger swimming pool heaters may need to be wired 3 phase, there may also be limitations due to your home's electrical supply. Where small pools are involved requiring small heaters we suggest you first check with us regarding your swimming pool pumps flow rate, electric swimming pool heaters have a flow switch, if you have a small pump with a weak flow of water many heaters will not work. This is a free way to heat your swimming pool once installed, many swimming pool owners will use matting or pods to back up their existing heating system. Solar pool heaters can work on their own, and in some respects they work in nicely with the best times for swimming, after all if its an outdoor pool and the weather is rubbish who wants to have a swim anyway. If its sunny weather your solar heating kicks in naturally and you have the best of both worlds. As far as the both options go it has to be said matting has been around for a long time and is a proven method as a swimming pool heater, pods are the new kid on the block and first seriously appeared 2009/2010. If we're asked which option to go for we'd say matting based on its track record, which includes commercial swimming pool installations. The down side on solar heaters is where to put them if you're pushed for space. Installing on a roof or away from the pool means pump size becomes a more important consideration, but all said great results can be achieved in an environmentally friendly way with this form of swimming pool heating. Salt pools need titanium heaters! If you're using a salt chlorinator then you must have a titanium heater, if you're using chlorine and are thinking you might switch to salt in the future then there's no harm using a titanium heater with a chlorine pool. If I'm using 2 types of heater what are the pitfalls and the connection sequence? As previously stated the "mix n match" option is available to heat your swimming pool. So lets say we wanted to use solar matting as a supplement to heat our pool along with an electric heater. The normal "series" sequence means water comes from the pool through the pump/filter then through the heater and back to the pool. With solar matting in the mix the flow of water would first be pump/filter, heater then solar matting. This is because the electric heater has a thermostat, it senses the pool temperature and turns on and off accordingly. If the solar matting came before the heater the thermostat would be sensing the pre-heated water from the solar matting and not the true water temperature in the pool, the result would be the heater thermostat would incorrectly sense that the temperature was ok and turn off. In the case of 2 electric heaters or a boiler and electric heater then the connection sequence ideally would be a parallel one. This would go as follows, swimming pool water flow goes first through the filter/pump, then splitting off into two using either a T or Y pipe fitting, one through one heater and the other through the other, both would then join back up to make a single flow of water back to the pool. This again is due to both heaters having thermostats, they both should sense the true swimming pool temperature, to have them in series one after the other would mean the first heater would pre-heat the water heading into the second heater causing the second heater to turn off. There is an added complication to this, by splitting the water flow it also halves the rate its traveling, since all swimming pool heaters also have a flow switch a reduced rate could cause the flow switch to sense a weak flow and turn off, most people won't have an issue with this but if in doubt give us a call. I hope this makes sense, sometimes its a bit like trying to explain the offside rule. 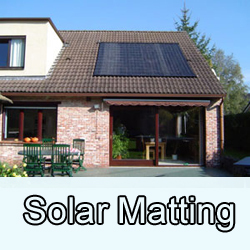 A solar cover is the cheapest way to heat your swimming pool and help retain heat. These covers are essentially a heavy duty bubble wrap cover that floats on top of your pool, they're' usually blue and range in various thickness, the most popular is 200 micron. In sunny weather a solar cover on its own can can raise the pool temperature considerably. A swimming pool in the UK without heating or a solar cover will generally be freezing all the time even in nice weather, these covers will always make the temperature higher to varying degrees. When you have an Intex or Bestway type of pool, this type of cover is ideal to take the bite of the cold water which is usually the green light for the kids to get in. If you have heating in place then a solar cover not only adds but also helps retain heat and is a highly recommended addition to your swimming pool heater. The cover is left in place when the pool is not being used, the bubble side faces down, it also doubles up as a debris cover but should not be considered as a substitute for a debris cover particularly in the winter months.